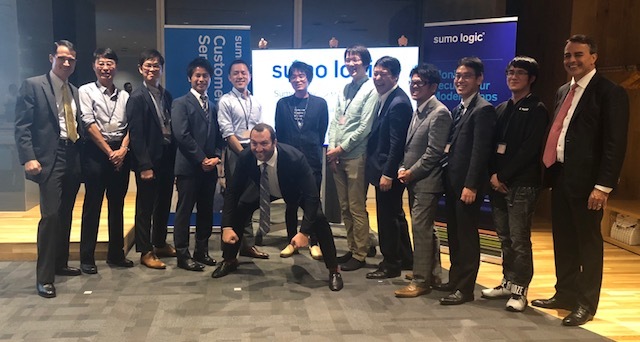 In October of last year, I joined Sumo Logic to lead sales and go-to-market functions with the goal of successfully launching our newly established Japan region in Tokyo. The launch was highly received by our customers, partners, prospects and peers in the Japanese market and everyone walked away from the event optimistic about the future and hungry for more! It certainly was an exciting time not only for the company, but for me, personally, and as I reflect over the past few months here, I wanted to share a little bit about why the company’s launch in Japan came at a very strategic and opportune time as well as why Sumo Logic is a great market fit. In terms of overall IT spend and market size, Japan remains the second largest market in the world behind U.S. in enterprise technology. A large part of that is because of service spending versus traditional hardware and software. For years, Japan had been a half step or more behind in cloud technology innovation and adoption, but that has since changed. Now, Japan is experiencing a tsunami of cloud adoption with major influence from Amazon Web Services (AWS) who has aggressively invested in building data centers in Japan the past several years. The fact that AWS began heavily investing in the Japanese technology market was a strong indication to us at Sumo Logic that as we continue to expand our global footprint, the time was finally right to capitalize on this market opportunity. However, market opportunity aside, the nature of our SaaS machine data analytics platform and the services we provide across operations, security and the business, was a perfect fit for the needs of innovating Japanese enterprises. I’ve been here in Tokyo for over 30 years so I feel (with confidence) that it was our moment to shine in Japan. From a sales perspective, we’re very successful with a land and expand approach where we start with only a small subset of the business, and then gradually, we grow to other areas, operations, security and business as we continue to deliver great customer experiences that demonstrate long term value and impact. That level of trust building and attentiveness we provide to our global customer base is very typical of how Japanese enterprises like to conduct business. In other words, the core business model and approach of Sumo Logic are immediately applicable to the Japanese market. Anyone with experience in global IT will understand the simple, but powerful meaning of this; Sumo Logic`s native affinity with Japan is an enormous anomaly. And, Japan can be a very unforgiving market. It’s not a place where you want to come with a half-baked products or a smoke and mirrors approach. Solid products, solutions and hard work are, on the other hand, highly respected. As I’ve mentioned above, the Japan market is mostly enterprise, which is a sweet spot for Sumo Logic, and there’s also a heavy influence of automotive and internet of things (IoT) companies here. In fact, four of the world’s largest automotive companies are headquartered in Japan and their emerging autonomous driving needs, in particular, align directly with the real-time monitoring, troubleshooting and security analytics capabilities that are crucial for modern innovations around connected cars and IoT, which both generate massive amounts of data. Customers like Samsung SmartThings, Sharp and Panasonic leverage our platform for DevSecOps teams that want to visualize, build, run and secure that data. The connected car today has become less about the engine and more about the driver experience, which is 100 percent internet-enabled. Japan is also one of the two major cryptocurrency exchange centers in the world, which is why financial services, especially fintech, bitcoin and cryptocurrencies companies, is another focus vertical for Sumo Logic Japan. Our DevSecOps approach and cloud-native multi-tenant platform provides massive mission-critical operations and security analytics capabilities for crypto companies. Most of these financial services companies are struggling to stay on top of increasingly stringent regulatory and data requirements, and one of the biggest use cases for these industries is compliance monitoring. Japan is regulatory purgatory, and so our customers look for us to help automate parts of their compliance checks and security audits. Having a strong partner ecosystem was another very important piece of our overall GTM strategy in Japan. 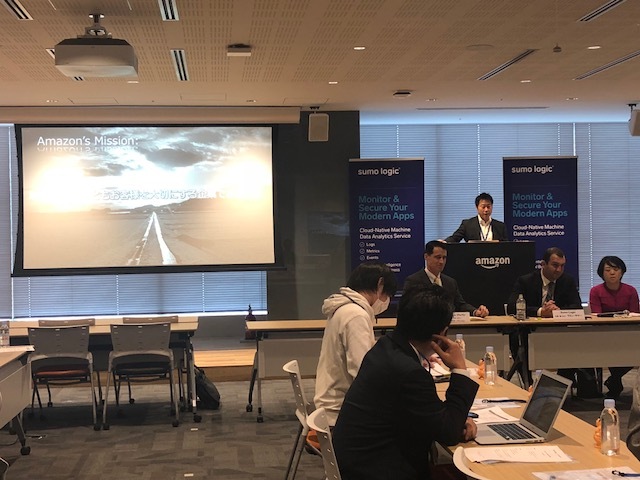 We were very fortunate to have forged an early partnership with AWS Japan that led to an introduction to one of their premium consulting partners, Classmethod, the first regional partnership with AWS APN. The partnership is already starting to help Japanese customers maximize their investment in the Sumo Logic platform by providing local guided deployment, support and storage in AWS. In addition, Sumo Logic provides the backbone for Classmethod’s AWS infrastructure to provide the continuous intelligence needed to serve and expand their portfolio of customers. Going forward, we’ll continue to grow our partner ecosystem with the addition of service providers, telecoms, MSPs and MSSPs for security to meet our customer’s evolving needs. At the end of the day, our mission is to help our customers continue to innovate and provide support in areas where they most need it — economically visualizing data across their modern application stacks and cloud infrastructures. We’re in a position to help all kinds of Japanese customers across varying industries modernize their architectures. Japanese customers know that they need to move to the cloud and continue to adopt modern technologies. We’re in the business of empowering our customers to focus on their core competencies while they leave the data piece component to us. By centralizing all of this disparate data into one platform, they can better understand their business operations, be more strategic and focus on growing their business. We’ve gone beyond selling a service to becoming both “data steward” as well as trusted data advisors for our customers. Japanese business is famous for its organic partnering model — think of supply chain management, and so on. 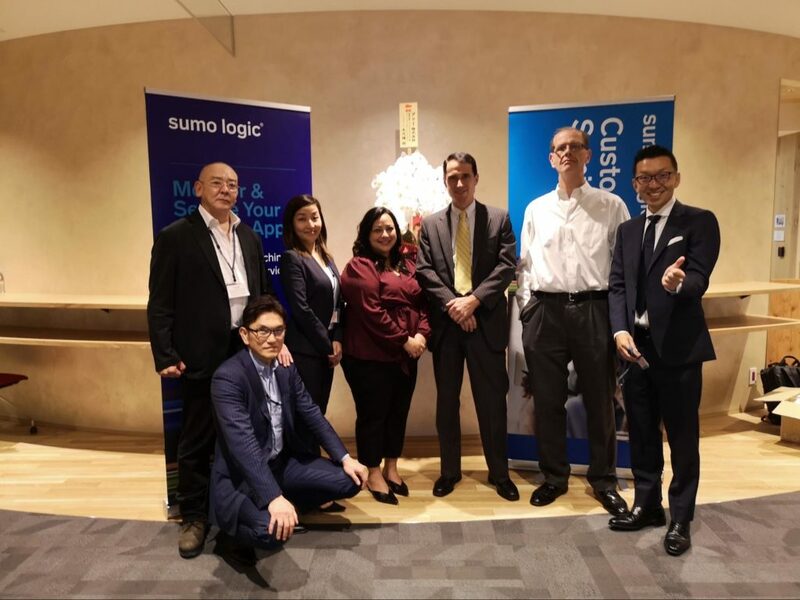 Sumo Logic’s core strategy of pioneering machine data stewardship is a perfect extension of this to meet the rapidly evolving needs of the digital economy in Japan. Now that we have a local presence with a ground office and support team, we can deliver a better and more comprehensive experience to new and existing customers, like Gree and OGIS-RI, and look forward to continued growth and success in this important global market. More posts by Robert Stevenson.